You never know what you might have to scrape. With these, it won’t matter. 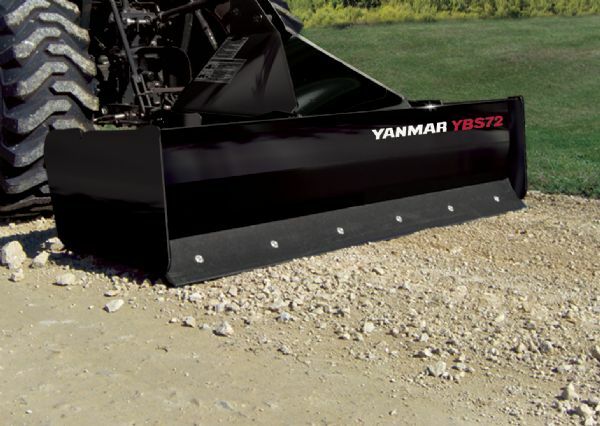 Whether it’s landscape grading, construction cleanup or snow removal, it’s not a problem with our box scrapers. Easily carve into sod and dirt with full-length, high-carbon, double-beveled, reversible cutting edges that move and cut in both forward and reverse. With reinforced steel A-frames and hardened scarifier teeth with replaceable tips, these box scrapers are durable and versatile enough to take on any job, any season.